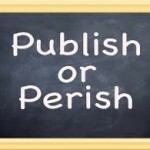 The “publish or perish” principle of academia is certainly not a new one and is likely as old as scientific research itself. And, while persons who choose scientific research as a career are often motivated by curiosity and the desire to improve the human condition, they soon find out that academic research is highly competitive and oftentimes dominated by overly ambitious and egocentric individuals. I’m sure that most of you have been told that in order to excel your research must be published in the highest impact journal possible. This, coupled with diminishing research funding can place enormous pressure on individual researchers to gain a competitive edge via less than ethical (and possibly illegal) behavior. To that point, there was an article in this Sunday’s NY Times that described a postdoc who intentionally sabotaged the efforts of a rising star in a cancer research laboratory at the University of Michigan. While this is only one incident, I do not think that it is the only example of intentional sabotage taking place in academic research laboratories. In fact, this recent incident brings to mind a candid discussion that I had with a prominent academic researcher many years ago. He confided to me and a colleague that he intentionally sabotaged a fellow postdoc’s work because he did not like his competitor and did not want him to get recognition for a discovery (BTW, this discovery led to a patent that made the researcher a very wealthy person).